A vengeful wife chopped off her husband’s mjulubeng after stabbing him to death, a court has heard. Lawyer Udeme Otike-Odibi, 47, is accused of murdering 50-year-old Sym Otike-Odibi, also a lawyer, after suspecting him of having an extramarital affair. 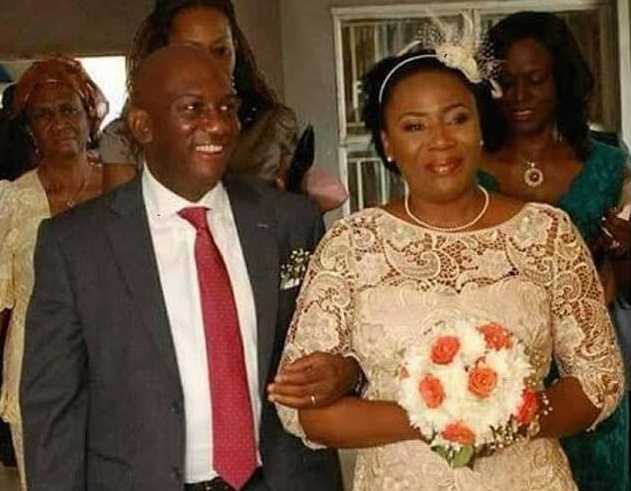 The murder took place at the couple’s home in Lekki, Lagos, Nigeria, on May 2 last year as Udeme Otike-Odibi, who has dual citizenship – UK and Nigeria – was preparing to fly to the United Kingdom. During the trial at Igbosere High Court in Lagos, homicide police chief Olusegun Bamidele said: ‘She stated they were having marital issues. 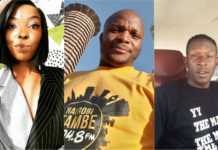 ‘She stated that the deceased was having extra-marital affairs and whenever she raised the issue with him, his responses were not satisfactory. He appeared nonchalant. She said that on May 2, 2018, she was preparing to travel to United Kingdom when she checked the bedside locker for her marriage certificate. ‘When she could not find it, she went to the deceased where he lay on the bed and asked him about it. But the response given was not okay. She had a discussion with him and there was a hot exchange of words, which made her to go to the kitchen and get a frying pan and knife. ‘When she returned to where the deceased lay, she hit him on the head with the frying pan and said ”Tell me, what is in your mind that you are withholding”. She stated that the deceased called his mother to report her conduct. ‘She continued to hit the deceased on the head again and again. Finally, she confirmed that she used the knife to stab the deceased in his abdomen. She also said while the deceased was lying on his back, she was still angry. Police later seized a frying pan, a blood drenched knife and Otike-Odibi’s Nigerian and British passports from her home. Judge Adedayo Akintoye adjourned the hearing at Igbosere High Court in Lagos until February 25. A Lagos State Police spokesman said: ‘Before the arrival of the police, she had unsuccessfully attempted to commit suicide after allegedly killing her husband and was rushed to a hospital for treatment by neighbours. ‘The couple, both of whom are lawyers, married three years ago after the deceased divorced his first wife. Otike-Odibi is currently being held in jail after pleading not guilty. Next articleNyce Wanjeri’s transformation from chairlady of ushamba association to slayqueen!